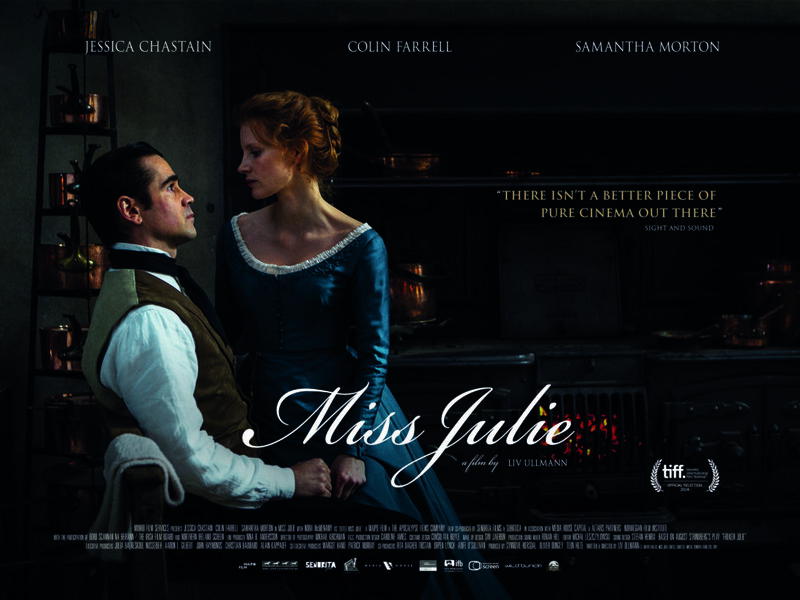 The Film Agency developed the innovation marketing strategy for Miss Julie as part of the distribution project The TIDE Experiment. The film is starred by Jessica Chastain and Colin Farrell, and directed by Liv Ullmann. It was released simultaneously in Italy and the United Kingdom. The campaign was mostly focused on local press and media advertising, but also included social media management and contests. The Tide Experiment is a project supported by the European Commission – Creative Europe for four years in a row. It is an experimental new model of distribution which uses Day-and-Date release patterns, multi-territorial approach and transversal marketing strategies for independent European movies. The Film Agency is the marketing partner of the project and takes care of Film Artwork, Trailers, innovative joint strategies with several distributors around the same project, street marketing and international digital promotion. "There isn't a better piece of pure cinema out there"